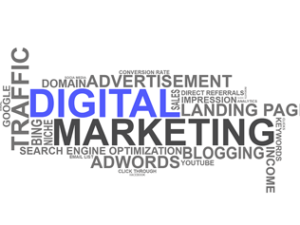 Digital marketing is the promotion of products, brands, or services using electronic media. The Internet is the most widely used channel for digital marketing, but text and instant messaging, mobile apps, social media, electronic billboards, and digital television and radio channels, etc., are also used. The main way in which digital marketing differs from traditional marketing is that it uses channels and mediums which empower organizations to quickly analyze marketing campaigns to determine what is being effective and what isn’t. It allows digital marketers to monitor what aspects of campaigns are being viewed, how often they are being viewed and for how long; what content is being watched or read, and what content isn’t; and the number of leads that are being converted into sales. Your organization will never achieve success in digital marketing if you don’t: (1) define what your goals are, and (2) develop a plan. Here are five goals that your organization should work to reach when it comes to digital marketing. The aim of marketing is to promote a product or service in hopes of increasing revenue for your organization. Your digital marketing efforts should directly or indirectly turn a steady number of skeptical prospects into dedicated customers and send your organization’s revenue stream skyrocketing. When people think of your organization’s product or service, what is the image that comes to their mind? How others identify your organization is its brand. Your digital marketing efforts should control this brand so that you influence how others see your organization instead of it being the other way around. Digital marketing should not only increase traffic to your organization’s website, but it should also increase targeted traffic to your organization’s website. Why do you want targeted traffic? When visitors are targeted, they normally have a specific goal in mind for visiting your website (e.g. they want to purchase, download, or sign up for something). Non-targeted visitors, on the other hand, are just browsing your website without any intention on taking any action whatsoever. Your digital marketing efforts should aim to increase targeted traffic because it will more likely result in an increase in conversions, readers, email subscribers, and social media shares for your organization. Your digital marketing efforts should turn a first-time customer into a repeat customer who buys your organization’s product(s) or uses your organization’s service(s) again and again. 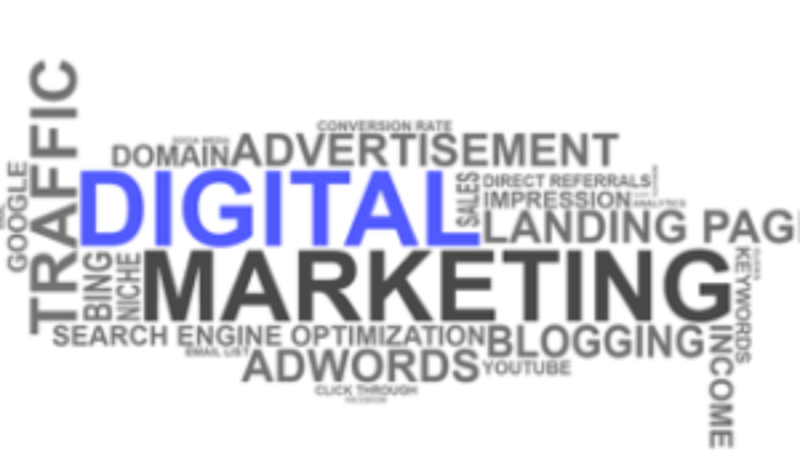 Your digital marketing goals are an integral part of your organization’s success, and as such, they should not conflict with the overall business plan or general marketing plan of your organization. Your digital marketing should complement all other aspects of your organization. Here are eight steps to consider when developing a digital marketing plan. Before embarking on your digital marketing journey, assess where your organization is now and envision where you want it to be in the future. With the five goals given above in mind, determine what your organization wants to achieve with digital marketing. Your goals should be quantifiable and measurable. Once you set your goals, lay out specific steps that will help you achieve those goals. What tools – programs, people, processes – does your organization need to create and implement your digital marketing plans? Consider the Five Ws and One H: What will digital marketing do for your organization? Who needs to be involved in your digital marketing efforts? Where will your organization’s digital marketing department be – in-house or outsourced? When will your digital marketing campaign begin? Why is your organization investing in digital marketing? How will digital marketing pay off for your organization? Once your organization begins digital marketing, set up an analytics program that will help you monitor, measure, and review your campaigns. If you see something that isn’t working, don’t hesitate to pause the campaign and adjust it to achieve better results. To maximize digital marketing for your organization, take time to do research of your industry. Analyze the marketplace. Evaluate competition. Engage customers. Motivational speaker, author, and salesman Zig Ziglar once said, “If you aim at nothing, you will hit it every time.” Nowhere is this truer than in marketing. Before releasing your digital marketing arrow, determine who to target and how you will do so.